October 17th 2018 is a day many have circled on their calendars here in BC, and across Canada. On October 17th the Cannabis Act comes into force legalizing non-medicinal cannabis. While this is something many have been lobbying for, and will constitute a victory for many lobbyists, there are a number of challenges associated with this Act that will require employers to give some thought to how legalized cannabis may influence their workplace. Initially some employers may feel that it will have minimal if any impact on their workforce as cannabis has been used by employees for decades. 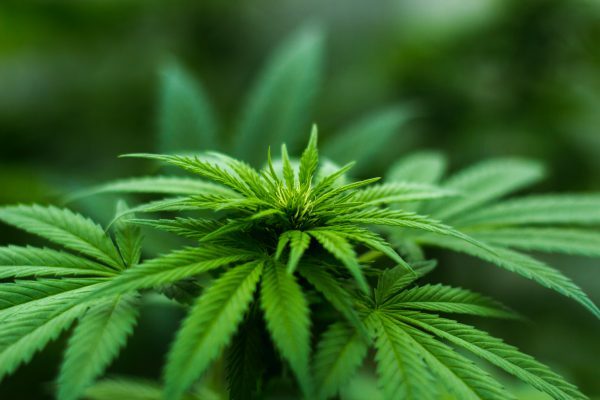 Its use has been illegal recreationally but widely used, and legal when physician prescribed, and so employers may feel that not much will change, or that they have adequate policies. Although Cannabis will be legal, there will be a number of people, and employees who will be experimenting with it for the first time. This may create concerns in relation to employee wellness, and safety for first time users, particularly where they choose to use edible cannabis products. One of the challenges with edible cannabis is that unlike alcohol, and smoking cannabis, when consuming edibles there may be a delayed onset of 2-4 hours before any influence is felt. This may encourage users to up the dose, and result in an overdose meaning that the high may last significantly longer, or result in hospitalization. Depending on the strain, and amount of CBD and THC (THC is the active ingredient that causes the psychological effects of cannabis, or the “high”) users may experience mild or aggressive results. Users that are new to cannabis may not get it right the first few times resulting in exaggerated, and prolonged experiences which may overflow into a degree of impairment in the workplace depending on when the cannabis was consumed, and when work begins. Although it may be difficult to know when physiological impairment has reduced to a non-significant level, consider it may take up to 4 hours for edibles to activate, and the high may last for 4-6 hours. A number of estimates indicate that anywhere between 4-12 hours may be a reasonable window to anticipate a significant degree of impairment. One study indicated it may take as long as 24 hours for the effects to dissipate. There are a number of aspects that can influence the length, and severity of impairment including individual tolerance, amount consumed, and the potency of the strain used. These aspects can extend or shorten that 4-12 hour window of impairment. Have employers created a discussion forum for the upcoming legalization of cannabis? Are workers aware of the physiological and psychological influences and consequences of cannabis, particularly residual effects, and overconsumption? What is the company stance on recreational cannabis? Where alcohol is permitted in some work functions, will cannabis? What about medicinal use of cannabis, as prescribed by a physician, are there clear guidelines? Has the organization reviewed its drug and alcohol policy to ensure recreational and medicinal use of cannabis is adequately covered? How will impairment be determined? What potential employment impacts may exist within the workplace should employees demonstrate a degree of impairment in the workplace? Are employees, with high risk jobs such as driving, heavy equipment, work over water, confined space, or diving as examples aware of the risks of impairment to their safety, and the safety of others? Is the organization aware of their rights as employers, and the rights of their employees in relation to suspected impairment due to cannabis or other drug use? There are a number of discussions taking place throughout BC as the industry evolves; I have listed a number of resources below which may help you decide on how well placed you are as an employer, or an employee to manage the increased exposure of cannabis to the workplace and help maintain a healthy, and safe work environment.